Working from home is one thing, but doing so successfully is another. It is easy to work at home but leave your house disorganized and your life in a mess. However, by keeping things as professional as you possibly can, it is possible to work from home and still ensure that you are able to maintain the distinction between your work life and your personal life. Create a designated work space in your home that is used for work and nothing else. You may find it difficult to do so initially, but working without a home office is soon going to land you in trouble. Ensure that there is nothing to distract you when you are working. This means no television and no radio in or around your work space. Have regular working hours just like you would if you were working in an office rather than at home. This enables you to stay focused at work and thus helps you to get things done in time. If you work as and when your personal emergencies allow you to, you will be burning the midnight oil every day! Working from home can often cause you to become lazy and stop taking your work professionally. In order to avoid this, dress for work rather than working in your sweatpants. One of the biggest drawbacks to working at home is that people forget to eat! It is essential that you take a regular lunch break so that your health does not suffer. Working in an office generally results in 2-3 mini breaks during the day as you interact with other employees. This is not available when you are working from home. Hence, you need to take a few minutes off every few hours so that you do not get overworked and your brain gets some downtime. Keep a task list at hand of all the things that you need to accomplish during a given day or week. These goals will help you to maintain the work discipline that is often missing in people who work from home. Do let your friends and family members know that you work seriously even though you are doing so from home. Make sure they know the hours when you cannot be disturbed. This is very important as most people think it is alright to call on someone who works from home as it does not really amount to disturbance. Keep a track of work related expenses. It may not be possible to segregate electricity and internet expenses that are used for personal purposes too. However, 30% of such costs are typically used by home offices and that is how you should treat them too. And lastly, make sure you get out of the house at least every alternate day if not every day. There is a real danger of becoming a recluse when you work from home and you should consciously try to avoid that. 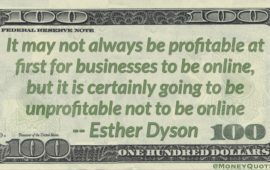 Esther is a small business blogger and writer. She covers everything from personal finance to mortgages to how to use a tax calculator.